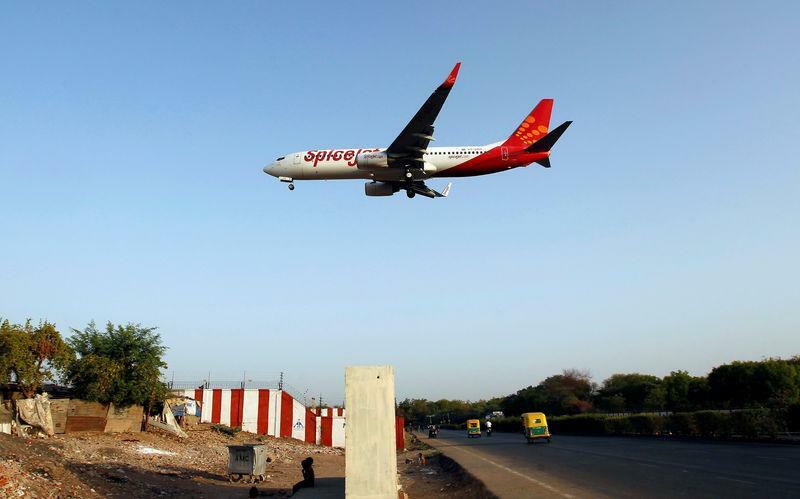 (Reuters) - Higher passenger yields for Indian low-cost carrier SpiceJet in its third quarter only partially offset higher crude oil prices and foreign-exchange losses that resulted in a sharp drop in profit. Though profit plunged by 77 percent after a 34 percent jump in oil prices and 11 percent depreciation of the rupee against the dollar sent, shares in the company closed 2.4 percent up on the 8 percent increase in passenger yields - a measure of fares and distance flown - and hopes of more stable crude prices. The airline's standalone net profit, which excludes results of its SpiceJet Merchandise and SpiceJet Technic businesses, fell to 550.7 million rupees ($7.74 million) for the last three months of 2018 from 2.4 billion rupees a year earlier, the airline said. IndiGo, owned by InterGlobe Aviation, last month reported a 3.7 percent rise in passenger yield for the same quarter. SpiceJet's average fares rose 25 percent from the previous quarter despite a 16 percent rise in capacity in terms of seat kilometers.